Things may have seemed quiet in Nativ‘s world if you’re an onlooker, but now it appears as though the inner turmoil is finally spilling out into the public eye. According to a series of tweets by members William Honto and Phil Druyor, they are no longer in the band. Apparently this happened without their consent. At this point this is a “he said she said” situation, and there are no official updates from the band itself. Check out these tweets by taking a look below jump. Also be sure to check in again soon for more updates. Note, there are a lot more tweets than I have captured below. Check out William Honto and Phil Druyor for more. a lot of people have been asking myself and more than likely @PhilDruyor about the @NativBand album and whether or not it will be released? I have only replied with "no" to the question, but everyone kept replying saying that…. @Andrewdwhiting and @Andrewjwetzel said that it was 100% coming out. Which is weird because @PhilDruyor and I, hadnt agreed to any of that. 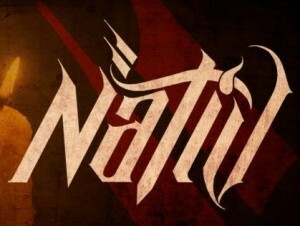 our names have all been removed from our @NativBand Facebook, Twitter, and any other major account. Now, they will more than likely say…. they being @andrewjwetzel and @Andrewdwhiting will say they arent using anything we wrote for @NativBand and justify not paying us a cent.
.@hvmanneqvin @WilliamHonto @NativBand The Andrews wrestled. Band ended. Wetzel filed suit against me for social media passwords.